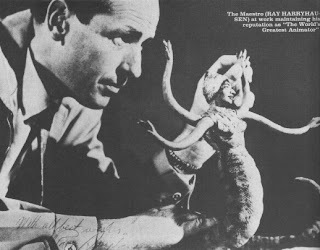 With the Fabulous 50s coming to a close (and also America's fascination with big bugs and beasts attacking major cities), Ray Harryhausen turned his attentions towards a subject that meant a great deal to him. Finally putting atomic age science fiction behind him, he was now free to explore the realm of fantasy that he'd loved ever since discovering dinosaurs as a small boy. The next collaboration between Harryhausen and Schneer would prove to be a box office sensation, and one of the most enduring examples of fantasy cinema ever devised. While many fans have great affection for the giant cyclops seen throughout THE 7TH VOYAGE OF SINBAD (1958), arguably the best sequence of the entire picture would be the sword duel with the living skeleton. It's a marvelous piece of motion, timing and effects trickery. The duel itself had its genesis in a sketch drawing that proved to be instrumental in the film getting made. The finished sequence was highly touted, and deservedly so. It also set a precedent for Harryhausen that he would continue to top himself for the duration of his career. Harryhausen dusted off an earlier outline, and sketches for what he had titled SINBAD THE SAILOR. The task of greenlighting a costume production of this magnitude for a style of film that had fallen out of favor in Hollywood was as daunting a task as the voyage in the finished film. After going through a few title changes and dropping numerous sequences and tweaking others, THE 7TH VOYAGE OF SINBAD (1958) set sail before the cameras in late 1957. Working with an incredibly ambitious script, some of the changes and eliminations included: the purpose of the voyage (to find a valley of diamonds) was changed; two Roc's were trimmed down to just a single giant two-headed bird; a villainous female character was dropped; attacks by giant rats and bat creatures were eliminated as was a battle between two cyclops among some others. In addition to the overabundance of fantasy elements, Schneer was able to convince Harryhausen they should shoot in color this time per the subject matter. The esteemed animator relented, but was cognizant of the problems color film stock would present in achieving the best results possible for what he wanted to capture onscreen. This VOYAGE was the biggest obstacle for Ray up to this point. By comparison, the animated effects in THE BEAST FROM 20,000 FATHOMS (1953) took five months to complete. The skeleton fight in 7TH VOYAGE took three months by itself. The films final cost came in at $650,000 (nearly $76,000 went to effects). The theatrical unveiling proved celebratory for all involved, and that their efforts were not in vain. The huge success guaranteed more such fantasy pictures were forthcoming. "[Dynamation is] a photographic process which combines a live background, in color, with a three-dimensional animated figure in combination with flesh and bone actors." --Charles H. Schneer in Famous Monsters June 1963 pp51. 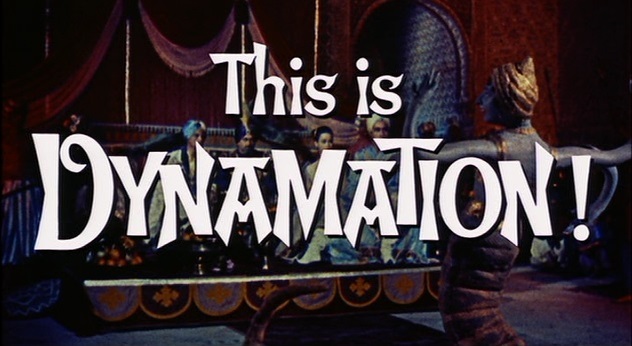 THE 7TH VOYAGE OF SINBAD (1958) also debuted the christening of 'Dynamation'; the name of the stop-motion process Ray Harryhausen was using to bring his creations to life. Both Harryhausen and Schneer experimented with the process for more than a year before they perfected the technique. The term would be modified on a few occasions over the years with little to no change to the process outside of a different name for marquee value. To say this production was influential is an understatement. For example, Italy became notorious for producing clones of American movies that hit dangerously close to their source. 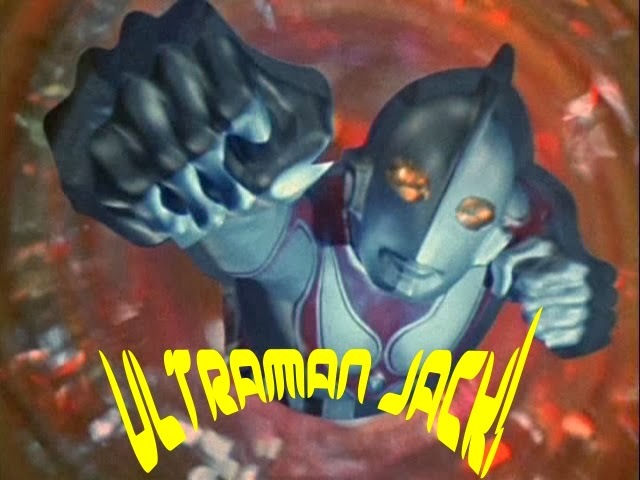 However, United Artists commissioned a film whose similarities weren't confined solely to the storyline -- it also utilized some of the major principal cast (Kerwin Mathews and Torin Thatcher) and even VOYAGEs director, Nathan Juran. 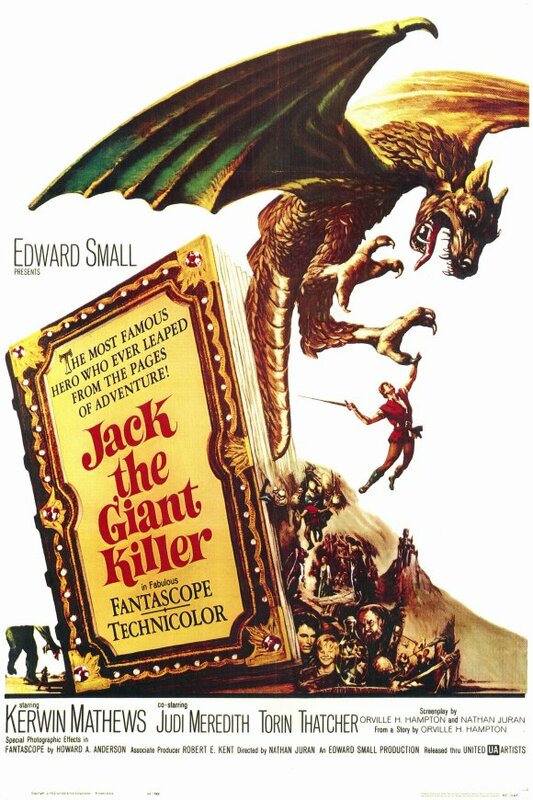 That film was JACK THE GIANT KILLER (1962), which was animated by a friend and colleague of Ray's named Jim Danforth. That picture had a bounty of pleasing sequences. Even though it felt like a companion piece to Columbia's Sinbad movie (to put it mildly; others would call it a rip-off), the fantasy film realm is all the better for like-minded imagination being brought to the screen. 7TH VOYAGE was not my first exposure to Ray's Sinbad tales. The first was GOLDEN VOYAGE, which I caught on television in the early 1980s. Not long after when video stores were cropping up everywhere, my dad rented Ray's first journey with the Arabian adventurer, and also JASON AND THE ARGONAUTS (1963). He really hyped up 7TH VOYAGE and it definitely did not disappoint. As much as I enjoyed it, I still preferred the second Sinbad picture of the three. However, it was quite an epic evening to catch two of Ray's best efforts back to back. Both the colossal cyclops and JASONs towering Talos left a huge impression on me. Ray's next was a totally different type of voyage, but still a fantasy picture. That the 3 WORLDS OF GULLIVER (1960) retained the services of Kerwin Mathews and also featured a number in the title was a good gamble that lightning would strike twice. Despite a slew of effects (lots of mattes and forced perspective) including a battle with an alligator, GULLIVER didn't replicate the sizable success of its predecessor. The Dynamation process was re-named 'Super Dynamation' to promote the production, although there was no difference in the process. Despite not being of the caliber or excitement of the Sinbad movie, it's a fun film filled with child-like wonder; but for those seeking creature thrills, you'll be sorely disappointed. DYNAMATION COMES ALIVE IN YOUR HOME! 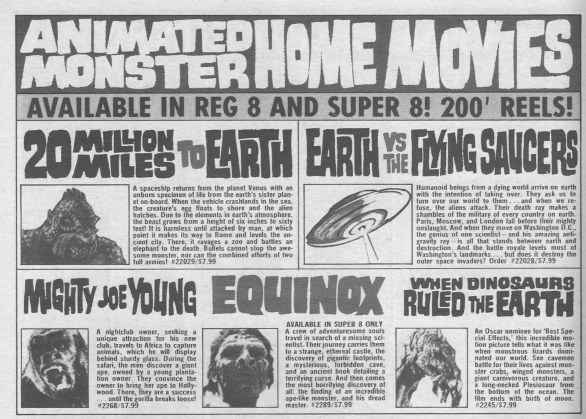 Back in the mid 1960s and onward, it was common occurrence to run across ads for regular, and super 8 movies in Famous Monsters of Filmland magazine. By then, Ray Harryhausen's movies had become extremely popular with kids and adults and his films were among those selectable for purchase. These reels had approximately 10 to 15 minutes of footage per reel. The technique of stop-motion was taking off and being undertaken by a new crop of artists. Where Ray had surpassed his master, Willis O'Brien, others were likewise inspired by Ray's work and making their own movies such as Jim Danforth (WHEN DINOSAURS RULED THE EARTH) and Dave Allen (EQUINOX). The battle with the giant crab in MYSTERIOUS ISLAND (1961) seems like any other action melding of stop-motion with live action, but it's special in that the crab is not a construct of a rubber outer layer built around a metal armature. For this sequence, it's an actual crabs exoskeleton with the armature inside. The usage of an actual crustaceans shell provides an added layer of realism to this scene. Harryhausen would then turn his attention back to giant beasts with a sequel to Disney's 20,000 LEAGUES UNDER THE SEA (1954). Jules Verne and H.G. Wells were two of his favorite authors growing up, so bringing one of Verne's tales to life offered an exciting opportunity. Harryhausen contributed four giant threats for this movie. They were all unique for their variety within the animal kingdom -- one's a crustacean, another is a bird, an insect, and finally a cephalopod. Considering this was a sequel to the 1954 film, there was interest in having James Mason reprise his role of Captain Nemo. 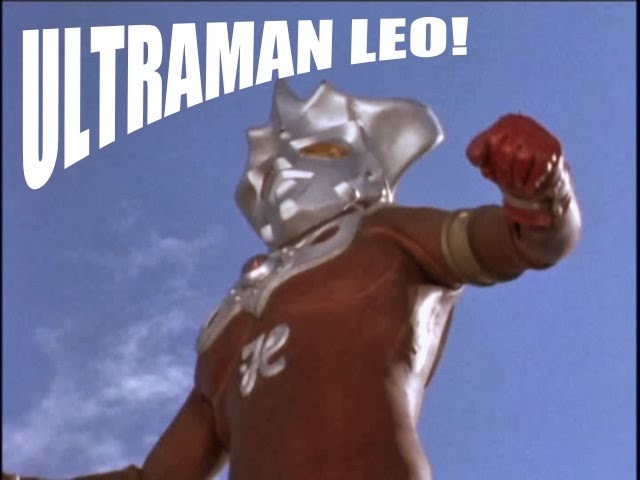 For budgetary reasons, it was decided to go with another actor, so Herbert Lom was willing to step into the role. MYSTERIOUS ISLAND (1961) grew on me over the years, and seeing it now, it's a fine piece of adventure filmmaking. It has a wonderful story of people coming together to survive amidst a tumultuous time (the setting is the Civil War) on the title atoll while battling enormous adversaries, meeting Capt. Nemo and escaping an erupting volcano at pictures end. Backed by a boisterous score from Bernard Herrmann, the pounding musical cues compliment the effects sequences nicely. 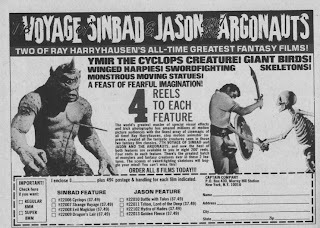 Even with all its magnificent set pieces and matinee thrills, Harryhausen and Schneer's Verne influenced epic failed to reap Sinbad level box office spoils. 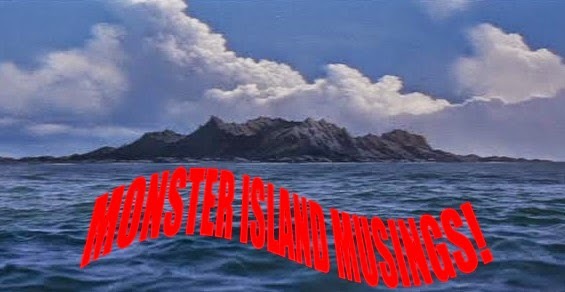 Since its release, MYSTERIOUS ISLAND has become a classic example of stop-motion enhanced fantasy filmmaking. 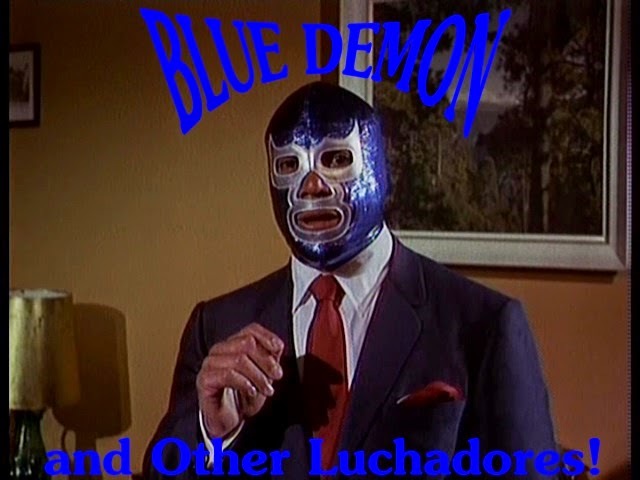 Turning now to Greek Mythology, the dynamic Dynamation Duo gambled on their most ambitious adventure yet. To try and limit to a single best scene in JASON AND THE ARGONAUTS (1963) is an exercise in futility, so the scene that made the biggest impression on me was the Talos sequence. While most folks fondly remember the skeleton battle above all else, for me, the giganticism of the Talos sequence made my jaw drop when I was a kid. The scene as executed is a suspenseful sequence of fantasy perfection. In the late 50s and early 60s the Italian Sword and Sandal movies were popular attractions around the world. 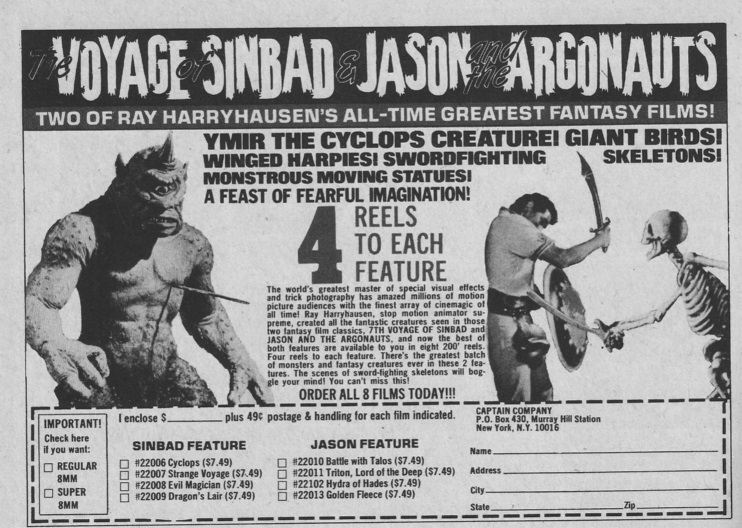 Their appeal was waning around the time Harryhausen and Schneer were working on the awe-inspiring grandeur of what was then called JASON AND THE GOLDEN FLEECE. It's ironic that Harryhausen held little interest in Greek Mythology when he was younger, but by this time in his career, the subject matter was ideal for the Dynamation process. The project ultimately proved to be one of the teams most ambitious undertakings, as well as their most expensive up to that time. This story had been told in 1960 by Riccardo Freda as THE GIANTS OF THESSALY, but minus the stop-motion animated monstrosities. It also made up a chunk of Pietro Franscisi's HERCULES from 1957. Speaking of the Greek demi-god, the character of Hercules had been previously portrayed by American actors like Steve Reeves and Mark Forest in Italian movies, but the makers of GOLDEN FLEECE didn't want a musclebound Hercules to detract from Jason's journey. 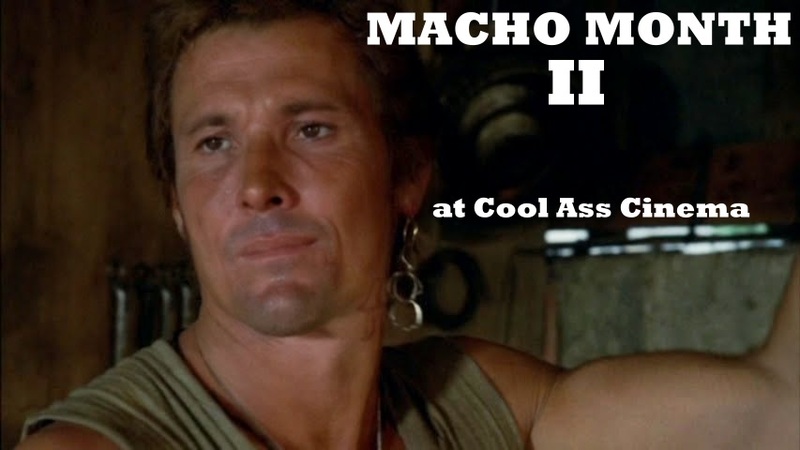 To differentiate from the Italian style pictures, Nigel Green (he was a burly man, but lacked the ripped musculature) was cast in the supporting role of the fabled strongman. While #7 on this list left me in awe, the duel with Jason and two men versus an army of seven skeletons (they were originally to have been moldy corpses) is an amazing piece of choreography and animated brilliance. Where the mano a mano between Kerwin Mathews and a reanimated, bony adversary set a precedent for movie special effects in 7th VOYAGE, this sequence intensified that on a much grander scale. Harryhausen's painstaking effects magic in this much trumpeted scene is deserving of its accolades; and one of the best such instances of spectacular special effects in cinematic history. I'm sure everybody has a JASON memory, or a fondness for this picture. It's nigh impossible to not be entranced by the wonders that transpire onscreen for the films 104 minutes; a running time bolstered by a bombastic score from Bernard Herrmann that is as big as the adventure of Jason and his Argonauts. Draped in an overwhelming sense of pageantry and two years in the making, the 3 million budget is one of those cases where every penny is up on the screen. Harryhausen displayed an indefatigable hand in capturing his most spectacular work up to that time. The skeleton sequence -- which is often cited as the movies most accomplished moment -- took four and a half months to complete all by itself. 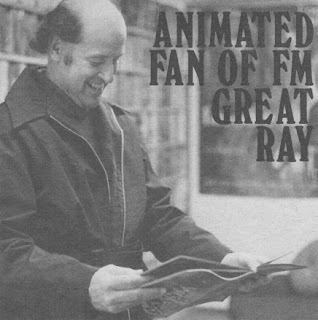 It became one of Ray's favorites of his career. Unfortunately, despite such sights as Jason battling a seven headed Hydra and a duel with seven skeletons among others, JASON AND THE ARGONAUTS performed below expectations (it did much better on its re-release). 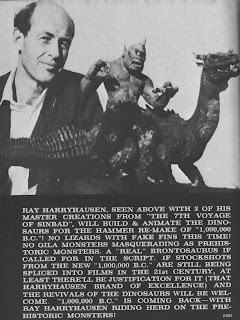 On the bright side, Ray Harryhausen married his wife Diana on October 5th, 1963 after production had wrapped. 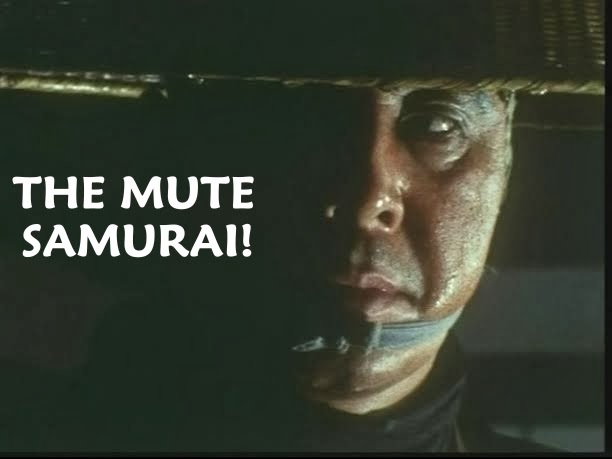 Over the years, this superb motion picture has amassed an incredible following, and is a favorite of many. Sam Raimi's ARMY OF DARKNESS (1992) for example, has Harryhausen's work stamped all over it. After passing on a script titled 'Breakout of the Loch Ness Monster', Harryhausen and Schneer moved onto other subjects. Having missed out on animating the aliens in WAR OF THE WORLDS (1953), and having always wanted to shoot a film based on H.G. 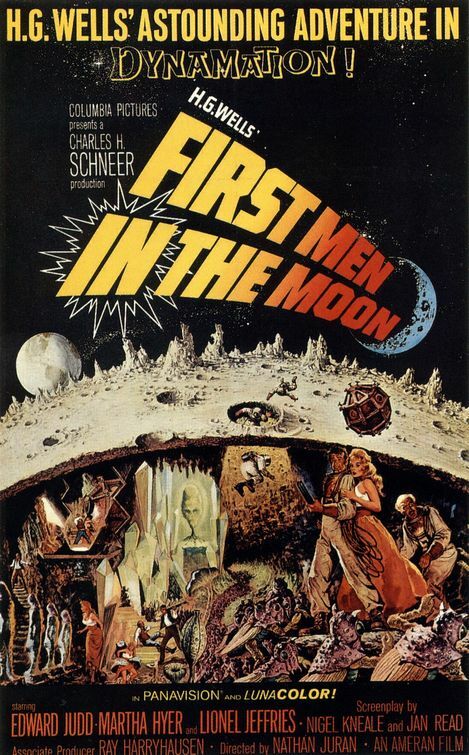 Wells, adapting 'First Men In the Moon' was looking to be an enticing proposition. However, Columbia Pictures was hesitant to touch it. Remaking Wells' novel (the George Melies version from 1902 was famous for its effects work) was a curious choice, but one Schneer and Harryhausen had faith in. Both the studio and Schneer wanted to shoot in widescreen for the first time, but like resisting 7TH VOYAGE in color, Ray did likewise here, but relented once more. In the end, producing stop-motion photography via a wider expanse proved problematic and not worth the effort. 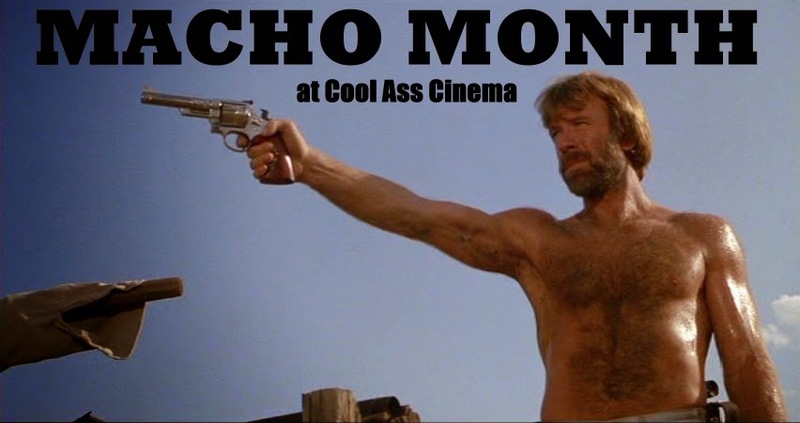 The finished product was certainly a different, and unusual motion picture than what the duo were accustomed to. It performed poorly in America and overseas, and was the least profitable of the pictures Harryhausen worked on. It has some interesting ideas, and faithful to the Wells story, but it's also my least favorite Ray picture. 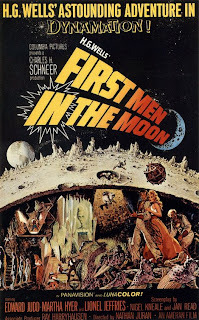 However, the film playfully bridged fact and fantasy considering the moon race at the time. Ray Harryhausen's next project would see him fully realize one of his childhood passions. He would be bringing dinosaurs to the screen. But this wasn't a documentary ala THE ANIMAL WORLD (1956); this would be a remake of 1940s ONE MILLION B.C. The films evolution would eventually grow into a monster hit not just because of its dinosaurs, but also for one of its stars.